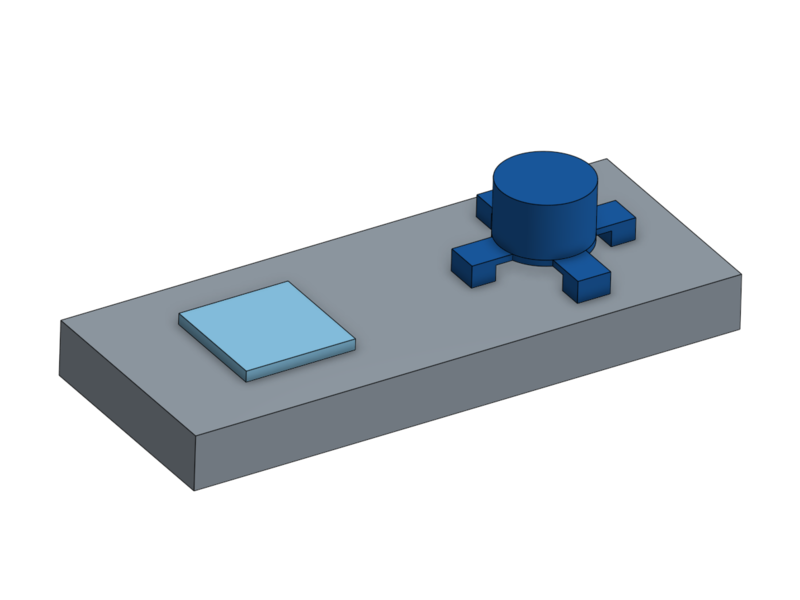 Start simple and iterate: A proven strategy for the simulation setup is to create it for a very simple version of the problem in order to see whether or not the simulation approach is viable. Have a clear understanding of the problem: This helps to decide whether certain effects can be neglected or not. The dimension of the model is very important for the simulation. If there are any discrepancies between the model units and the SimScale units this can lead to unrealistic geometrical dimensions. In this case, it is crucial to perform a scaling operation. Please refer to the article CAD Scaling[Insert Link] for more information. CAD models often contain many detailed features because of manufacturing constraints or the installation. Good examples are small holes or windings. These detailed features might be relevant for the final manufacturing but they do not affect simulation results and they increase the meshing and computing time significantly. Therefore, such features should be removed during CAD preparation. Small entities can be a problem when it comes to meshing. If there are very small faces with sharp angles the surface meshing might fail. These features need to be removed before meshing. An example is demonstrated below, where faces had to be merged before a surface mesh could be generated. 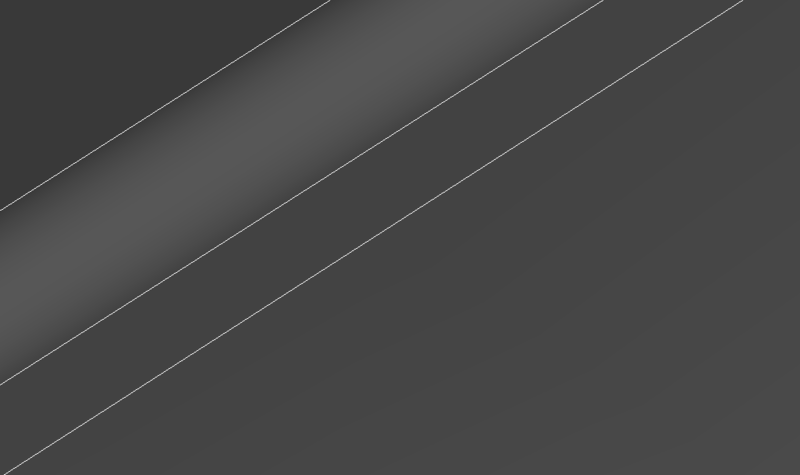 Detail after CAD cleaning: Problematic face was removed, meshing works fine. If the problem is symmetric, computation time can be significantly reduced by using symmetry boundary conditions and performing simulations on just a part of the whole CAD model. The Simscale platform keeps all entities of the CAD model (faces, edges, nodes) during the meshing process. Therefore, to apply a boundary condition on a specific face or edge, it needs to exist as a separate entity in the CAD model. A fluid mechanics simulation is performed on the actual fluid volume. 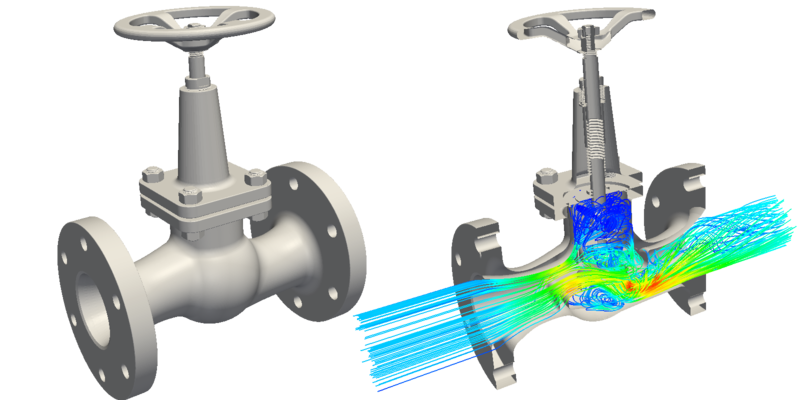 For an internal flow problem, this means that the fluid volume needs to be extracted from the CAD geometry. 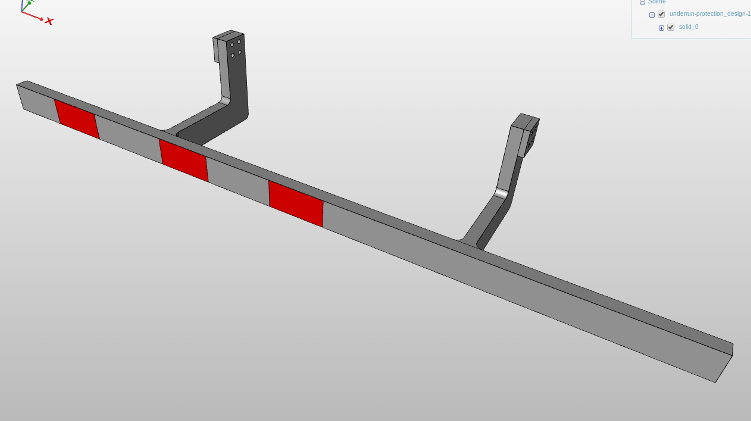 This can be done in the CAD preparation stage using the respective CAD tool. 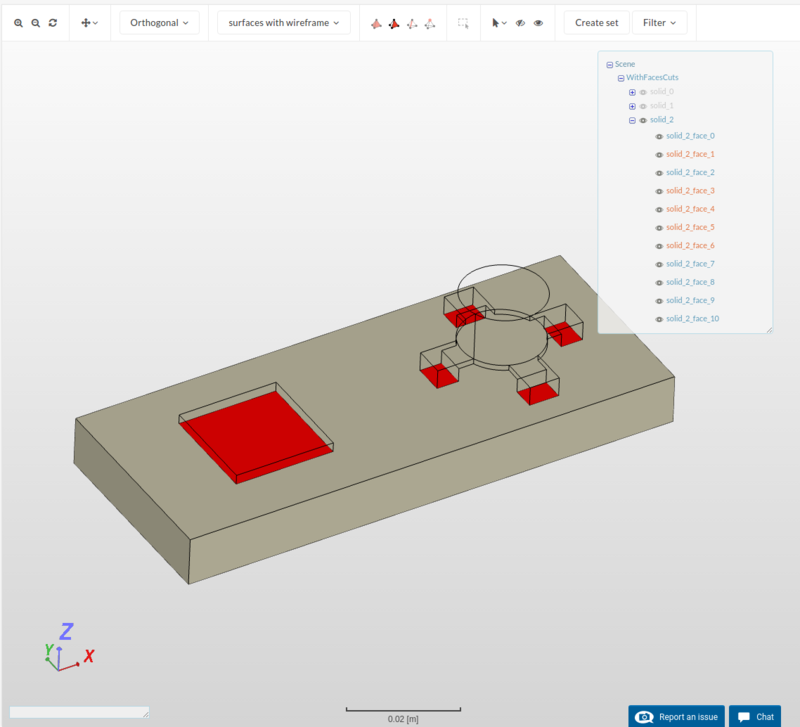 It can can also be performed on the Simscale platform using the Fluid Volume Extraction feature, which can be found under the geometry operations menu. More information can be found here Fluid Volume Extraction. the above figure shows a sample CAD for a CHT application, containing three regions, one fluid region, and two solid regions. Ideally, the CAD should appear as shown in the figure below. Here, the surfaces that are in contact with other parts, are precisely cut into separate surfaces. This can be done in the CAD preparation stage using the respective CAD tool or it can also be performed on the Simscale platform using the Imprint feature. More information can be found here Imprinting. 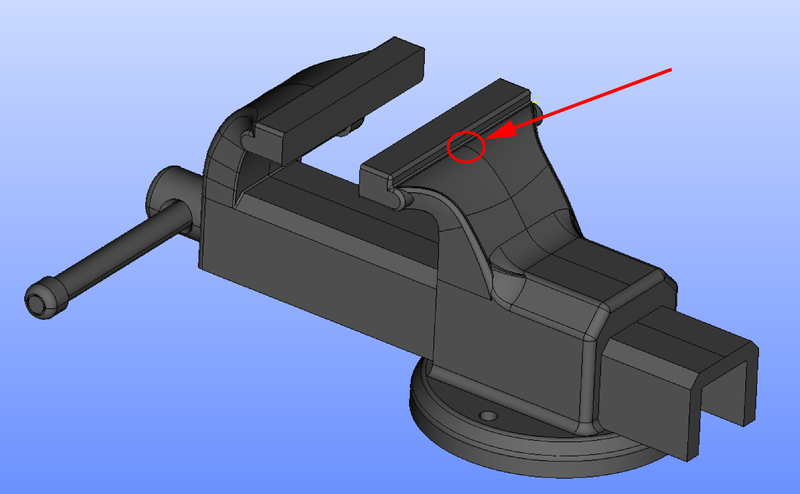 “Problem in surface meshing”: Check your CAD model for very small features or intersecting regions.